When an event happens that affects us personally, either physically or psychologically, it can be a reason to look into getting rightful compensation. 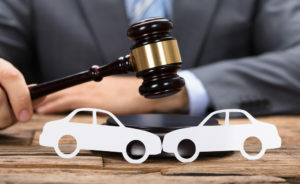 Personal injury attorneys are frequently associated with car accidents, although they actually assist with a variety of civil or wrongful act cases, in which one person injures another. Depending on your state, you may have a limited amount of time to file a claim, so if you ever incur an injury, make sure that’s one of the first things you look into. Having a personal injury attorney early on in the process of filing your claim can make the situation more bearable and less confusing. Personal injury attorneys take cases under what’s called “Tort Law,” which refer to intended or accidental wrongful acts that cause injury to another person. This includes animal bites, in cases where neighbors or strangers animal’s attack someone. Accidents that happen in the workplace or in cases where consumers slip and fall in a retail setting. They also cover Medical Malpractice and Wrongful Death cases. If you are ever injured by a faulty product or assaulted by someone, these situations are also covered. Ask questions if you are unsure about your injury and your rights to compensation. Most personal injury attorneys offer free consultations or answer questions directly through their website. Firms like Avrek Law offer helpful solutions to questions 24/7. Even if you’re involved in an incident where you don’t feel initial pain, it’s still good to talk to an attorney, just in case something happens down the line. Having a guide throughout the filing process can be crucial. Certain documents are time-sensitive, and figuring out the paperwork and filing procedures, on top of dealing with a potential injury, can be overwhelming. Say you are dealing with a malpractice involving your child’s pediatrician. Your personal injury attorney would require certain information from the children’s physicians. They may need to interview any potential witnesses who were present at the time the injury took place. Your personal injury attorney will act on behalf of your needs, which can include being compensated for the loss of wages, medical bills, and psychological stress. A reputable attorney or firm will make sure that they’re negotiating your best interest as well as handling your claims, court documents, and anything else correctly. They should also be available to answer any questions that you may have during the process. You can represent yourself in a personal injury case. Between reading and researching, filing your claim, and possibly using a personal injury calculator to find out how much your injuries might be worth, it is definitely possible. However, acquiring a personal injury attorney means knowing your claim is worth and how much you could get compensated for. This amount can be thousands of dollars more than you might get if you represent yourself. Personal injury attorneys have experience and expertise under their belt, which means they have a far better knowledge of the legal process than the average person. They can also make sure your case goes to trial if need be. So when it comes to asking yourself if you need a personal injury attorney, it’s a matter of what you’d like the outcome of your case to be. The odds might be better with someone experienced fighting on your behalf. If you ever find yourself in a situation where you think that you might need to get a personal injury attorney, keep in mind that timing is everything. You should actively research, check reviews, and ask questions of the personal injury attorneys in your area to ensure you find the right person to take on your case.